Just starting out as a new homeowner? Get the garden tools you need. 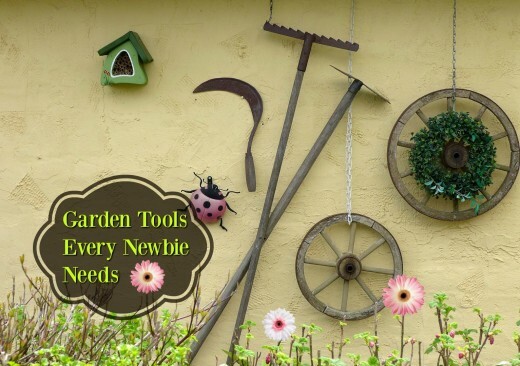 Tips on which essentials a newbie gardener should buy. What Essential Tools Do I Need to Garden? There are an array of tools in every garden center and hardware store, and some look like they were dreamed up after eating too late at night. Every garden magazine touts the merits of the newest and “best” tools, but which ones do you really need? And how do you use the tools to get the best use out of them? Even seasoned gardeners might still ask themselves these questions, but trial and error give you a sense of what sort of tool you need for your task, and which one you should invest in, first. Make a list of your common garden tasks and the tools to best accomplish these chores. That is a great way to start figuring which implements to buy. With an idea of which ones you most need, you can then visit yard sales and auctions, or get end-of-season bargains for a quality upgrade. What to look for in top quality (and when you need top quality). How-to video illustrating how I use a specific trowel for bulb planting. You paid attention to getting a trowel, or making plans to replace that cheap one. Good. Now you are ready to garden in small areas. The next most important purchase you will need is a basic garden shovel. Because using your leg and your back for digging is much better and more efficient than your hand and wrist… that is where your shovel or digging spade comes in handy. These two tools were all I used at first, although a good pair of pruners comes close behind these two. What is the definition of a great garden spade? Usually has a squared off blade, shorter D shaped handle, and is used for cutting into the earth and lifting dirt or plant material. It is also called a border spade. An excellent investment is in a solid steel English border spade, but you don’t have to get anything like that in the beginning unless you really want it. A decent quality shovel, round with a point is highly versatile. Moderately priced ones with solid hardwood handles, like those made of Ash*, are widely available. I started with an Union Tools long handled shovel from the hardware store. I still use it, even though I now own one of those English border spades- which I do love. Shovels move dirt, they dig holes big enough for shrubs and trees, they can cut through pesky, resistant roots if necessary. Third on your list is a good quality pair of pruners, best to moderate quality – depending on whether you will be likely to lose them or leave them in the rain. If you buy the best quality, like the Felco brand pruners, take care of them. Those secateurs (that is what English gardeners call them) will give you a good cut and last a long time. They will also be better for your hand. If you lose them or forget them outside for long periods (don’t ask me how I thought about this point), it might be better to buy the moderately priced which you replace every so often. Know thyself on this one. I personally like the type that are called the “bypass” rather than the “anvil”. They need to be kept sharp. Bypass blades give a clean cut, while the anvil type crushes the stem. I found the Cape Cod weeder to be very useful in many weeding situations. These Garden helpers will give years of good service. Full tang means the metal portion of the tool, or blade, extends into the full length of the handle. Get a top quality garden trowel. That is all. Not all you need, but the most important tool you need. If it is top quality it won’t break, it won’t annoy you with poor and painful design. It will be a joy to use. This is the one tool you really need. Period. A great trowel like this one costs much more than the flimsy pressed metal ones at the discount stores, but I can’t stress enough how much a good trowel is worth in terms of comfort, longevity and good gardening experience. Preferably good solid forged steel with a strong connection with the handle. Go ahead and pay a bit extra for this one tool, you will not regret it. This tool will be used for digging, planting, weeding. Those are the main activities in gardening. If you can find an equal that has been used, good for you! It is the quality and not the age or price that is important. Are You Happy With Your Trowel? Do you use a trowel and are you happy with your brand? My trowel is not satisfactory. It has loose parts or is bent, etc. Why Should I Have More Than One Type of Trowel Or Weeding Tool? I use many styles of weeding tools, hoes, shovels, and trowels. I find each one has particular benefits because I garden so much. It is like those woodworkers who have lots of different shaped tools and saws or artists with numerous types and sizes of brushes. Sharpened around the entire blade to slice through dirt, high carbon steel with an ash handle. This is the description of a high quality trowel made by the DeWit company. Garden Trowel – Stainless Steel 14″ Long Works Perfectly for Every Hand Digging Situation. Indestructible. Made in Iowa. Includes a 6″ Incised Depth Gauge. Lifetime Guarantee. This is the best buy if you want the most economical choice. It isn’t expensive, yet it is strong and multi-tasking. It has sharp edges that can cut through soil or roots. It can weed, The handy depth gauge on the blade helps plant bulbs at the correct depth. Easy to keep clean, and finally, the bright handle makes it easy to locate if you happen to drop it. I especially like the feature of a brightly colored handle. Tools are commonly made from aluminum, sometimes from carbon steel, and sometimes from stainless steel. Steel is stronger and holds a good edge, stainless won’t be prone to rust and needs less care, such as oiling. Leaf rake is imperative for a property with trees. A grass rake would catch the ground constantly and tire you out. The Japanese hori hori or weeding knife is an excellent tool to have. The word “Hori” means “to dig”, and this garden knife can cut right through soil -useful for dividing tough perennial roots and transplanting. Many experts recommend this as one of the best all around useful tools in their toolshed. I like that it can saw through tough roots or clods of soil with its serrated side. Strong enough to leverage weeds out easily. Divides perennials, opens mulch bags… this is one very practical purchase. It can double as a trowel in many ways, although it doesn’t scoop soil. It can replace any other weeder on your list, in a pinch. Consider this choice before investing in a large number of different weeding tools. What about rakes, hoes, and water hoses? Or wheel barrows, hedge clippers, loppers, edgers and things like that? It depends on your space and your tasks, so let’s look over these circumstances. If you have grass clippings, fallen leaves in the autumn, and jobs like that a leaf rake is needed. Whether you want something heavy duty or lightweight is up to you. One tip: if kids are helping rake the leaves: get the heavy duty type. Garden rakes have thick short steel tines, and are arranged straight across the bar, rather than fanned out like the leaf rake. 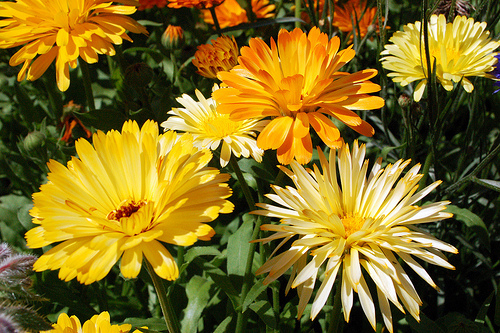 They catch in the grass and are used to smooth out bare soil in the cultivated garden. That is what you do before you plant grass or vegetable seeds. Are you going to be trying to accomplish those tasks? Buy both kinds of rakes, they really aren’t interchangeable. My goodness, there are a wide array of these. My favorite is a D shaped shuffle hoe, but if you are using one for breaking up soil in the vegetable garden then old fashioned garden hoe is useful. 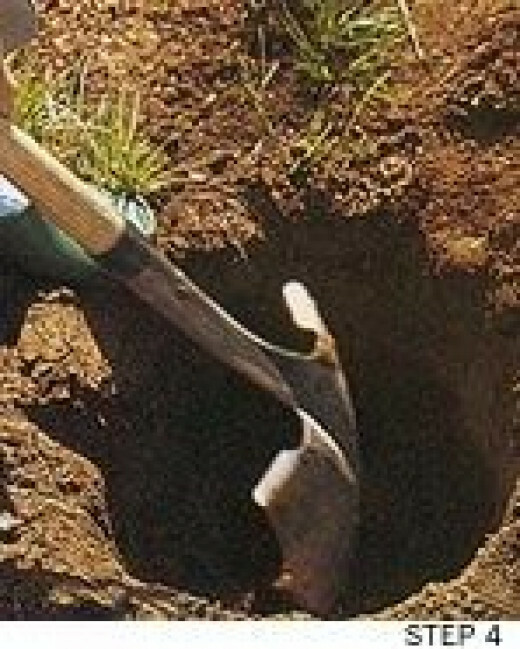 The shuffle hoe gets weeds right below the surface of the soil. Either one is useful but for weeding rows I like the shuffle hoe. You do need at least one water hose, and a spray attachment , especially if you like to have planters filled with annuals on your patio or porch. A watering can is fine, but it can be very cumbersome to water a garden in a Midwestern drought, or on a hot day. I realize that many yards have irrigation systems, but I still think a hose is useful for most gardeners. There are a myriad tools for this basic task and they are very useful. 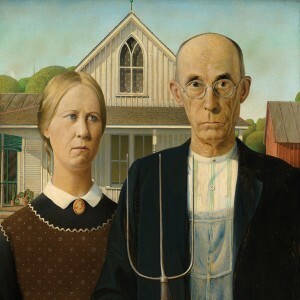 I like the Cape Cod Weeder and the “Yard Butler”. Many like the “Cobra Head”. There is the tried and true Asparagus knife. Each has its expertise in certain types of weeding, but if you get one or two that should suffice, and remember, even though it isn’t specialized for the task, the trusty trowel works just fine to remove weeds. I like a wheelbarrow, but you can also use a child’s wagon for double duty if you have one. A lopper is very useful, and I think the beginning gardener needs one. 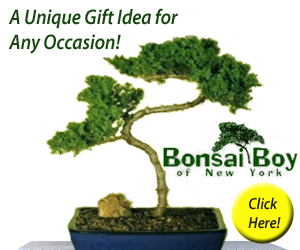 It keeps shrubs in order, and removes small branches from ornamental trees. Like a large pruner in use and shape. Pruners are always important to own, but a lopper will reach deeply into shrubbery, tree branches overhead, and cut down large diameter weeds (like pokeweed or Lonicera bushes). Hedging shears are fine for shaping evergreens, etc. Not necessary probably, but I think they are pretty basic. You will want a pair of shears sooner or later for shaping up bushes and many perennials. If you have a large amount of hedge, invest in power hedge shears. A shovel can be used to edge your flower beds and sidewalks, but an edger does the job more neatly and with less work. After you have an arsenal of the most basic tools, take a look at many of things that make gardeners happy! Frugal is good. I like to buy the more expensive tools at the end of the season when stores mark down their gardening supplies and equipment. Another way to save money is to frequent garage sales and estate sales for their used tools. Take care of your tools once you have bought them, oil them at the end of the season and hang them on a rack to keep them out of the way and organized. it’s not frugal if they rust and are lost in the yard. 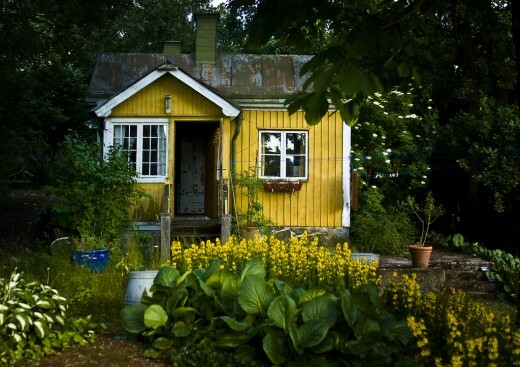 Consider a tool shed to safely store your investment. Pruners – what is the difference? 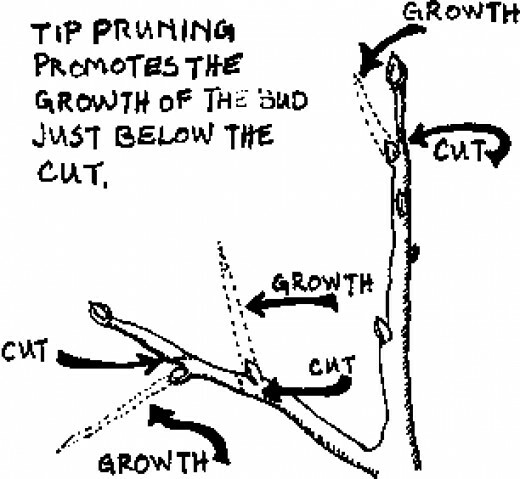 Of the two main types of pruning shears, one is an anvil and and the other is a bypass. Anvil pruners have one blade which closes onto a flat surface. Bypass blades are like scissors, with two blades passing each other. Experts consider the anvil type better for most homeowner chores. I’ve used both types and either one is useful for smaller pruning jobs, I would use a different tool, the lopper, for larger branches. Serious gardeners will want to invest in a high quality pair of pruners. Most of the garden bloggers I know use Felco brand because it is well made and does the intended job with ease. A well made pruning shear is easier on your hand and less tiring to use, additionally it will hold a good edge, and the working parts will last. This is one of the most important tools in the gardeners collection. A pruning shear can trim small branches, cut rose and raspberry canes, and shape shrubs, or even deadhead spent blooms, in a pinch. Ergonomic means the tool is “body friendly” and works with the way your body naturally works. 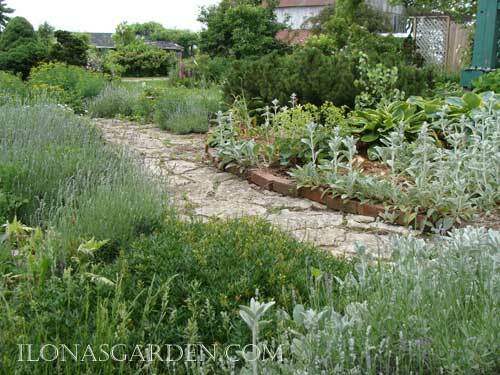 The type of tasks needed for a garden filled with shrubs and perennials differs from one filled with rows of annuals and seasonal vegetables. Shrubs need shaping with pruning tools, perennials need garden forks for divisions, and a vegetable garden may need one or more hoes. The “Yard Butler” is a type of mattock, and very useful in my opinion. One side chops up ground like a hoe, cuts off weeds at the surface, or you can pry them out of the ground. The alternate side is a “claw” type of weeder and is great for removing pesky grasses from the flower beds. Hoeing action on one side with cultivating action on the other! This tool has some heft to it and makes quick work of tough roots. It can chop through stubborn taproots or turn soil over, pull up grass roots and loosen soil quickly. If you have clay soil like I do, it’s usefulness is inestimable. 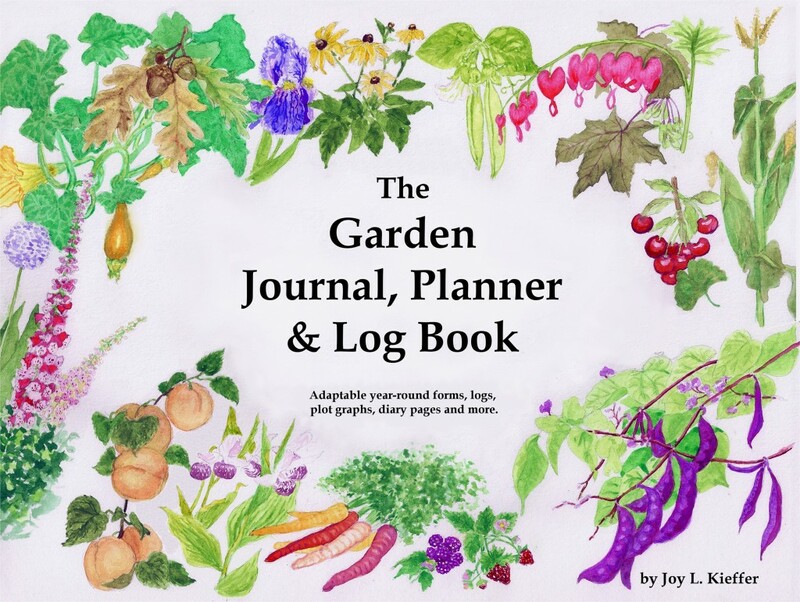 Try the book, ‘Beginner’s Illustrated Guide to Gardening‘, to get started with a great garden and the necessary skills- begin building a resource library that you will refer to many times over the years. With all the great internet information who needs books? You do, if you want something right at your fingertips. I get to know my books like old friends. I buy new at the store. I borrow tools that others buy. 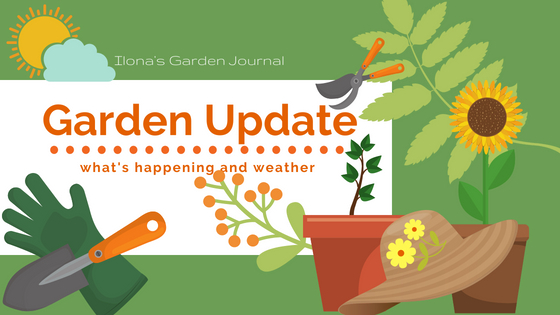 Gardening tools, buying the tools you really need, from spade to rake and beyond.Garden tools list and consumer tips. WHICH TOOL WILL YOU NEED? – DID YOU FIND ONE TOOL THE MOST USEFUL? TELL US ABOUT IT. My goodness, a person could go broke buying all those tools! I am an anomaly, I don’t use any weeding tools except my more narrow trowel. Most of the time I’m perfectly happy as long as I have my nitrile gloves, a trowel, and my snips. I’m surprised! You don’t use a shovel or rake, you don’t prune your bushes or trees? for me, all those tasks are basic each season. Even when I weed I use three tools, a cape cod, a dandelion knife and a trowel… at the least. 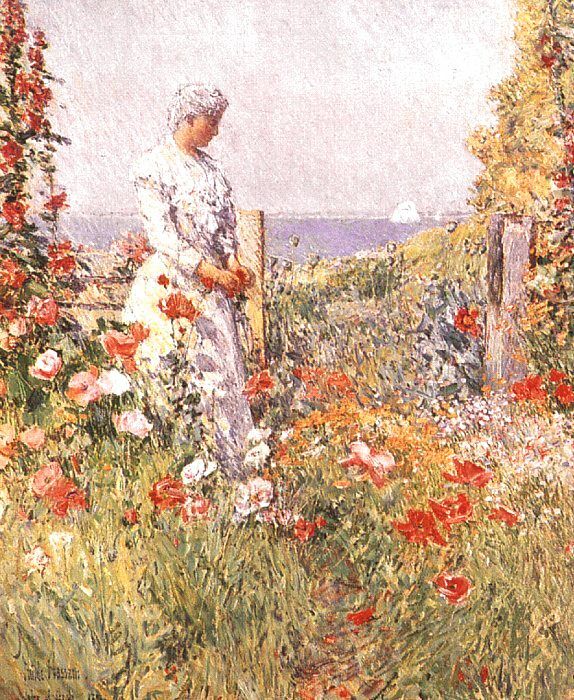 I think even for small gardens, most people would need those just to begin gardening. when I first started I used a long handled shovel and a trowel for most jobs… but it makes the work harder when you try to use just a couple tools that aren’t really fit for the task.